Peter Stein digs into a flurry of bugs of every shape, size and color as they crawl across the pages of his book, “Bugs Galore." This book is full of his nonstop rhymes and the most colorful and comical illustrations by his illustrator, Bob Staake. 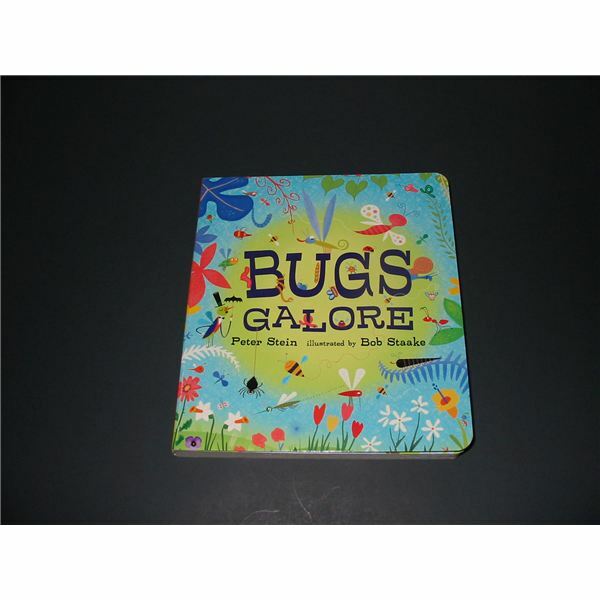 Quoting one of his rhymes may help you understand why the kids will giggle with this book — “Big bugs, small bugs, creep bugs, crawl bugs, sky bugs, land bugs, slime-your-hand-bugs…Can’t ignore bugs, don’t inhale them, while-you-snore-bugs." Take a walk with your group and see how many insects you can find. Avoid touching unknown types of bugs with your fingers. Warn children that some insects can be poisonous and that hunting for bugs should be just that: hunting and watching. For a closer observation, have an adult catch the bug in a clear jar with a lid. Then, release these creatures after the observation into their habitats. Most bugs have body parts, especially ants. As you involve the children in this project, they will learn bug anatomy. Invite the children to make three fingerprints next to one another on a sheet of paper. The prints represent the head, thorax and abdomen of the bug. Encourage the students to change colors of the paint for the various types and colors of the bugs. When the paint dries, have them add six legs and two antennae to the crawling insects with the black pen. Then, glue googly eyes on the head if you wish. Sing this song to the tune of Frere Jacques. See them crawl, see them crawl. Creepy, creepy, crawling, never, never falling. Bugs, bugs, bugs. Bugs, bugs, bugs. See them crawl, on the wall. Creepy, creepy crawling, never, never falling. Try these two ideas for insect math and then use your imagination to create your own activities. What doesn’t have eyes or ears, but has a mouth and can sense heat, light and being touched? Earthworms! Draw and cut out a large earthworm from poster board. Cut the worm into 10 segments. Paint, color or decorate these segments as you wish. With a black marker, place a number on each from one to ten. Invite the children to put the earthworm together using the segments in numerical order. Cut out several triangles from different colors of construction paper. On one group of triangles, write the numerals from one to ten. On another set, draw dots with a black marker. One triangle will have one dot; the next has two dots, and so on. Laminate these game pieces for durability. The children can sit at the table and make a butterfly by placing one wing with a numeral and the other wing that has the same amount of dots. 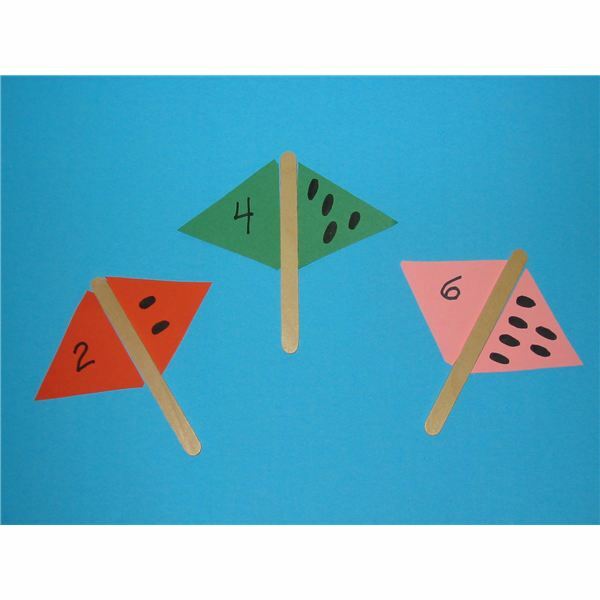 Use a craft stick in the middle with the points of the triangles next to the stick and the larger part of the triangle facing out as the wings. Bees are popular bugs during the summer months as the fly from flower to flower collecting nectar to make honey. You can hear their buzzing sounds as they fly. Look but don’t touch, as they sting. Play this game pretending to be buzzing bumblebees. Choose a student to be the searcher bee and have him leave the room or stand with his eyes closed in a corner of the room. Next, hide an object somewhere in the classroom where the other children see where you have placed it. Call back the searcher and have the other children start to make buzzing sounds. When the searcher bee gets close to the object, the other bees need to buzz very loud. The further away he searches the softer the buzz. When the object is found, another child is chosen to be the searcher and the game continues. How much did your students learn about bugs? Bring out some photos (from a book or catalog) and show them to the children. How many do they recognize? Can they point out the body parts? This opens the door for a class discussion.